Photography lighting provides illumination when you're taking a picture or filming video footage in low-light conditions. This usually occurs when you're shooting at night, inside buildings, or in areas with limited sources of light. The proper use of flashes and on-camera lights not only improves the quality of photos and video clips you take, but it also lets you manipulate light in a more creative way, especially if you're a professional photographer or videographer. Studio photography lighting, such as the flash and on-camera lights, can be confusing, especially if you're new to the hobby. 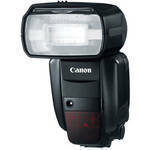 A camera flash provides a quick but powerful burst of light that works simultaneously with the camera shutter. 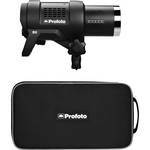 It enables you to shoot photos wherever, whenever, and however you want without the need for a separate lighting device, since you have a built-in light source. It's also better at capturing motion because the camera only sees the burst of light and its subject, which enables it to "freeze" the image as opposed to continuous light where the sensor has time to adjust and pick out other sources of light, thereby blurring the picture. An on-camera light is also attachable to a DSLR or video camera, but unlike a camera flash, it works to give you a continuous source of illumination rather than a short burst. If you want your photos to show consistent brightness and clarity, choose this kind of lighting equipment. You can also use it separately with a tripod, which is a common setup with studio lights. Continuous lighting devices are capable of providing enough illumination to cover a large area where you expect your subject to be moving. You have a choice between LED, tungsten, fluorescent, and HMI, with each one having unique lighting properties that you can take advantage of to boost the quality of your footage. 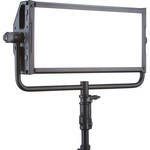 They also come with adjustable light stands that you can easily move around to fit your shooting style. Additionally, you can remotely control many models, giving you the ability to manipulate the amount and duration of lighting you get for your videos. Aside from using it for shooting videos and pictures, photographic lighting is also ideal for use in show productions such as concerts and parties. You can manipulate these lights to provide special effects by using lighting accessories, such as dimmers, which let you control brightness, and you can even choreograph them with human movement on the stage. Whether you're taking pictures or shooting videos, turn to B&H Photo and Video to find the photography equipment you need, such as photography lamps, strobe lighting, and other gear for your projects.